Do you carry water with you while on the run? Do you struggle to find a system that works for you? I have definitely juggled different types of hydration handhelds, belts, and packs, and they are not created equal! 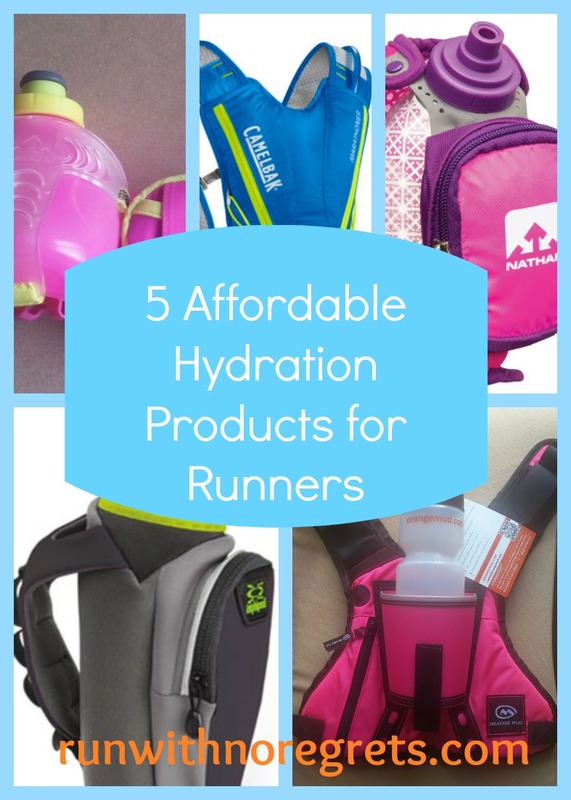 I thought it would be a great opportunity to share 5 different types of hydration products that are affordable and work great while on the run! 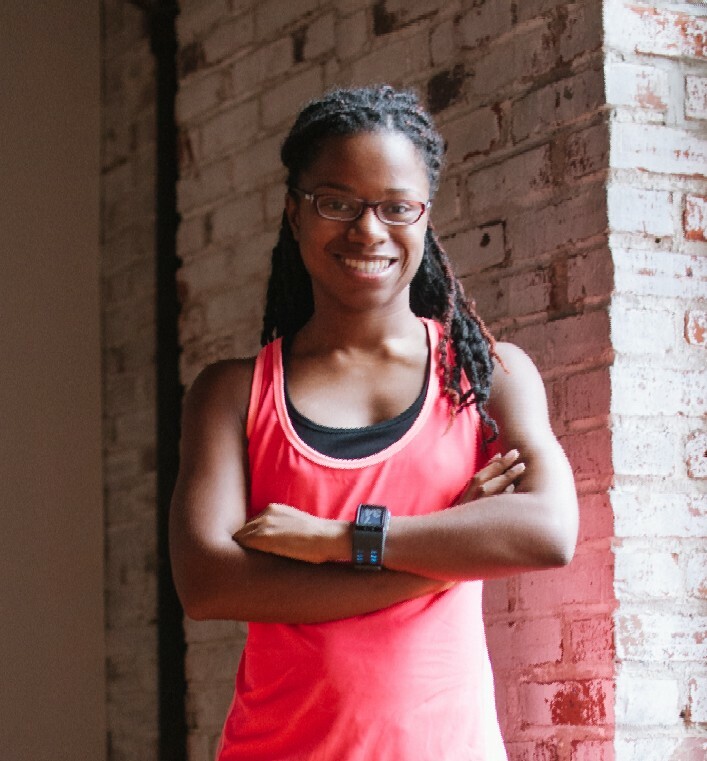 I’m linking up with Patty, Erika, and Marcia for Tuesdays on the Run! No matter the time of year, it’s important to make sure you’re staying hydrated while out on the run or doing any physical activities outdoors. Drinking plenty of water and fluids before, during, and after your run is crucial! Runner’s World has a great guide on recommended quantities to drink – which also depends on the duration and intensity of your workout. Dehydration can not only negatively impact your running performance, it can lead to serious health issues if neglected. I am a big-time sweater when I run, and it doesn’t matter if it’s 90 degrees or 30 degrees outside! I know that I need to replenish my fluids by taking regular sips of water while on the run, and if I’m going long, it’s important to take the right type of fuel as well! Susie from Suzlyfe has a fantastic article on Runner Hydration and Fueling Mistakes to Avoid that goes into even greater detail on what to do and what NOT to do when it comes to staying hydrated, definitely check it out! Fortunately, there are so many products on the market to make it easy to run with water on-hand. Over the years, I have tried handheld water bottles, hydration belts, and hydration packs, and each style has its pros and cons. I’ve put together a list of different types of hydration products that you should consider if you’re shopping for new gear! Having used this handheld, it’s very comfortable on your hand, easy to take a sip of water, and the pouch is great for carrying keys, though gels and chews are a little bit more complicated to maneuver, especially during a race. While it’s way too small to fit my LG G3 cell phone, it’s a very economical choice! With this handheld form of hydration, you can access gels much easier with quick access slots and easily carry your cell phone in the large pocket. It also holds double the volume of the Nathan Quick Shot, so you can use this on longer runs. 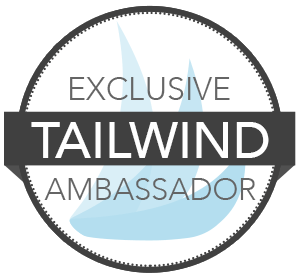 Check out this review from Chad, a fellow BibRave Pro ambassador who really liked this product! 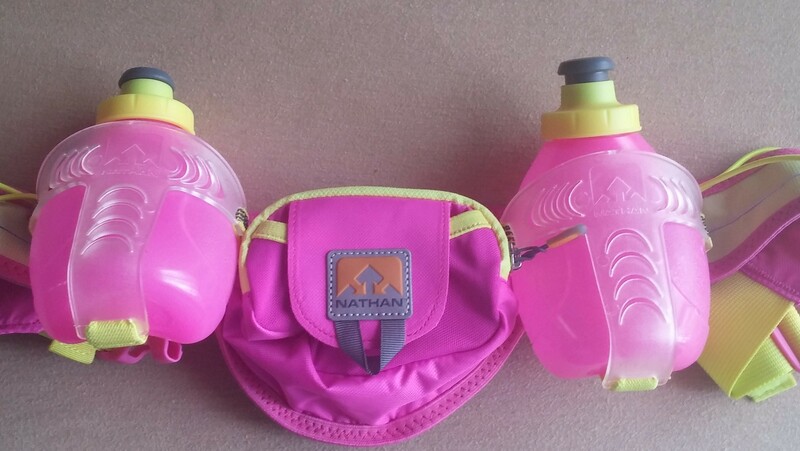 Hydration belts are great because they free your hands and can help improve your running form vs. using a handheld product. I enjoy using the Nathan belt on longer runs. I like being able to grab one of the bottles while on the run and have used this belt for a few races. There are 2 areas that I wish were a little easier: accessing the water from the cap since it doesn’t have the Quick Shot design, and finding the right belt adjustment to avoid bouncing/sliding while running with full vs. empty bottles. Still, it’s a great product! 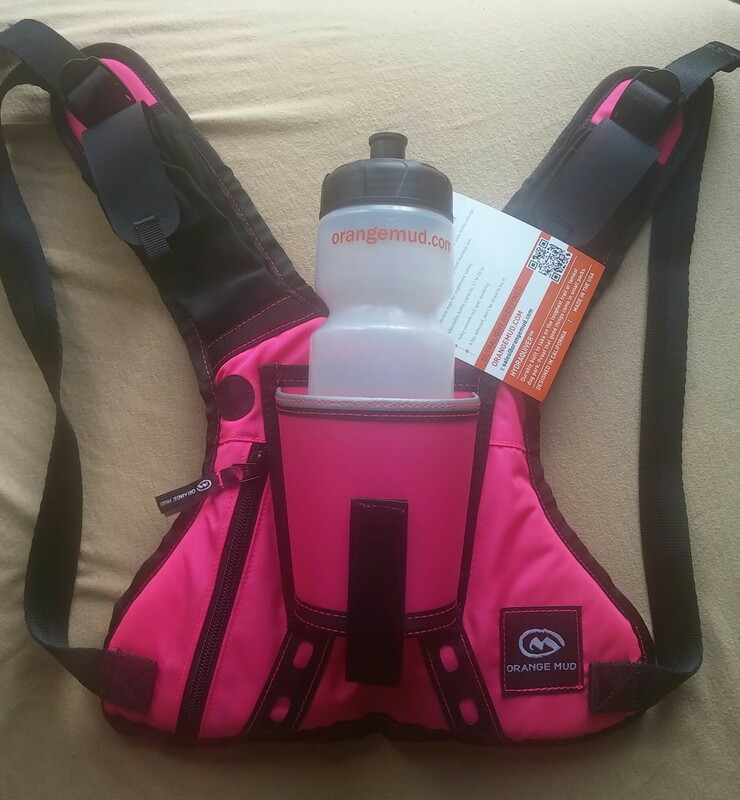 The Orange Mud Hydraquiver in pink! Interior rear cargo storage and a secure zipper pull and headphone port. This was the first time I used a hydration product that I wore on my back. It’s extremely comfortable to wear, is light, and doesn’t chafe at all. I can hold my huge phone and keys in the back pocket easily. My only real challenge was getting used to grabbing the 25 oz bottle of water from the back of my head while running. It’s still a bit tough for me personally, but this is a great, versatile product that I recommend! Four exterior slip pockets and one zipper pocket. One interior zipper pocket. I’ve been thinking about doing an upgrade and going with a hydration pack like the Camelbak. While I’ve heard some complaints about cleaning the bladder that holds the water inside the pack, I think it would be a very efficient way to run with water and fuel on extremely hot runs and during marathon training. With the amount of use it’ll get, I think the price is at a great value! What type of hydration do you use for running? Of these 5, which one most appeals to you?